Wide ranging hose clamps, automotive clamps, hardware clamps, industrial clamps, etc. Aug 18, 2015 | By CENS | AUTO CLAMP CO., LTD. Founded in 1975, Auto Clamp Co., Ltd. is a veteran company specializing in developing and manufacturing various kinds of hose clamps for a wide variety of applications. The clamp maker says that one of its core advantages lies in the in-house integrated production and processing, which helps to assure the highest production efficiency and quality consistency, while accelerating product development and cutting costs. One of many hose clamps offered by Auto Clamp. Another advantage of Auto Clamp is the firm's talented and skilled employees, most of whom are experienced R&D staff with ample know-how and expertise, as well as well-trained workers with long-term field experience. Auto Clamp claims that it has trained many professionals who have made considerable contribution to the hose-clamp industry on the island. 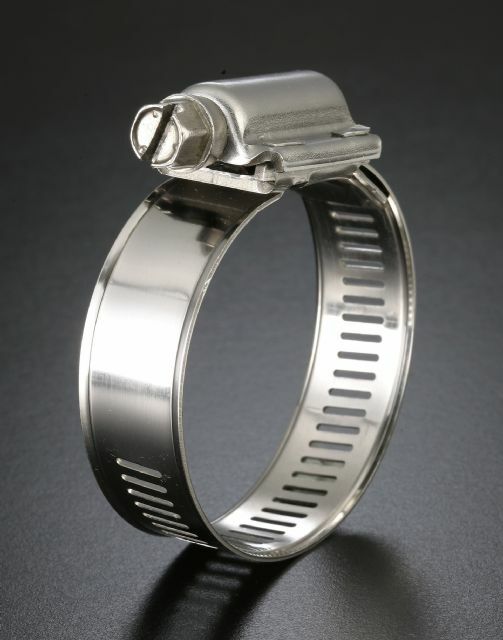 Thanks to consistent R&D and innovation, Auto Clamp offers wide-ranging product lines to meet global customers' requirements, including German type hose clamps, American type miniature hose clamps, American type interlock hose clamps, quick hose clamps, wire type hose clamps, adjustable ear boot clamps, among others, all of which are applied in numerous industries. The maker says that it has full confidence in providing high-caliber products, prompt delivery, reasonable prices, and satisfactory services.